Following our profile of the Open University (August 2018 edition), we return to the subject of distance learning to look more generally about what it’s all about and how Service leavers can make it work. With factors like cost and convenience on the minds of would-be students, distance learning is increasing in popularity. These same market forces are also encouraging many universities to make a greater number of courses available to distance learners. Distance learning, also known as remote learning (or correspondence courses) enables people to study towards qualifications without the need to attend a classroom/lecture hall or interact face-to-face with a teacher. For Service-leavers looking to strengthen their CV, distance learning may well be the ideal choice. Plenty of Serviceleavers, perhaps especially those who would be regarded as ‘mature students’ would shrink back from attending classes with students who are much younger than themselves, having fairly little in common with them. Because of the nature of online support materials, distance learning can be undertaken from anywhere in the world – including your own home, where you can study in relative peace and quiet. According to the Complete University Guide website, more than 270,000 undergraduate students are taking their first degrees via distance learning, along with some 108,000 postgraduate students. The primary benefit of distance learning is that you can fit it around your other commitments, such as those relating to family or your job. In fact, plenty of Service-leavers take on distance learning before they’ve even returned home, giving them a flying start when they arrive back on civvy street. That same flexibility also means that students can choose to study at their own pace – either full time or part time. it doesn’t matter how near or far you live from the institution since you’re usually connected by online methods such as email or Skype. Undergraduate and postgraduate courses are likely to have entry requirements, set by the university running the course. These may include prior educational qualifications, especially in English and mathematics – as well as possibly in the subject you’re intending to study. be seen as an investment that will potentially put you on a successful career trajectory – and because you can use your lump sum/ELCAS to fund it, you might never have an opportunity like this again. 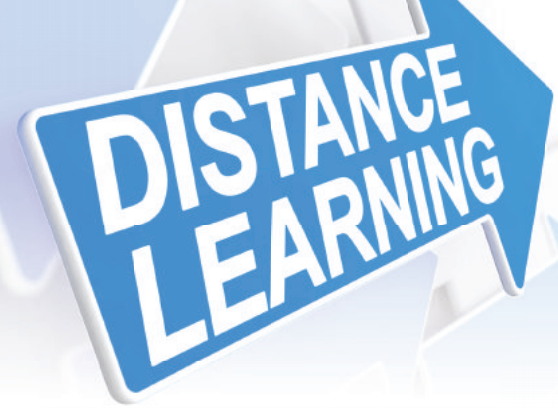 Distance learning courses are specifically designed for students to engage with course materials at home or at work. As most people now have access to the internet it’s no surprise that distance learning has grown so quickly in popularity, with materials either being sent directly to students by email or accessed via websites. Similarly while there may be occasional face-to-face meetings with tutors, these can also, in some cases, be undertaken over Skype – as can taking part in virtual forums and discussion groups. (The good old telephone can also be part of the mix.) In any case, the university or college will have dedicated staff to support distance learners – they are not regarded as ‘second class’ students. Universities and colleges ensure that their distance learning programmes and qualifications are of the same quality as campus-based courses. This is especially the case in the age of league tables, based on employability and student satisfaction. Employers are also comfortable with employees that have acquired qualifications through distance learning. Indeed, it’s likely that employers will admire those that take on rigorous educational study in their spare time or by fitting it around their other commitments. Your success as a distance learning student, especially given that you won’t have the peer approval of fellow students in a classroom to worry about, is really in your own hands, based entirely on how well you can motivate yourself to put in the required hours. Some students use routine, where they study for a given time every day – perhaps using apps or even an alarm clock to remind them to crack on with it. Another smart move would be to set goals (weekly, monthly etc) based on what you’d like to achieve in a set period of time. perspective can add a richness to learning and after all, nobody has the monopoly on good ideas. This tip applies to all students undertaking any form of study. While it used to apply mainly to textbooks it should now extend to websites, social media, television programmes, webinars and podcasts; there’s just so much information out there. Although plenty of colleges and universities offer distance learning, The Open University (OU) is unique in being a purely distance learning specialist and in its experience and understanding of how to support remote learners. To date around two million students have benefited from studying with the OU. The Open University is proud of their excellent relationship with the MoD and is ideally placed to help Service-leavers acquire additional skills to help with their resettlement. In fact, according to The OU, they are currently supporting more than 1,500 Service personnel and their dependents with their learning. Such is the commitment of The OU to the Services community that they’ve created a website to provide specific advice, support and free resources to Armed Forces personnel, including Service-leavers, as well as information to help them find out more about what it’s like to study with The OU. Next PostNext NHS – Your Next Move?